Appeon Corporation has announced the release #0328 of a maintenance release of Appeon for PowerBuilder 2015, which supports Microsoft Windows 10. Also, included in this maintenance release is the replacement of Appeon’s NPAPI browser-plugin to comply with changes in Google Chrome version 45 and newer. Appeon would like to thank their community for submitting requests and issues as well as, supplying valuable comments on their Support Center and Appeon Developer Group! Supports IIS 10 with .NET 4.6. Removed NPAPI dependency from the Appeon browser plug-in, which is required for Chrome version 45 and newer. Supports text centered vertically in SingleLineEdit, StaticText, & EditMask controls (mobile only). Able to get the width and height of the Appeon Workspace screen. Supports the hide/display of the normal view icon on the Appeon Workspace title bar. Supports the HintText property of the SingleLineEdit control (mobile only). Supports the Run PowerScript function on the Android OS. Supports the era setting of PowerBuilder 12.5 Japanese version. If you've already have Appeon 2015 installed then you directly upgrade by installing maintenance release build 328. If you're new to Appeon or have a version of Appeon pre-dating 2015 then you should download the full installation of Appeon 2015 build 328. Please, remember to update (re-deploy) your Appeon for PowerBuilder applications after installing the latest Appeon version in order to activate all the fixes & features listed above. Installing GhostScript for PowerBuilder on Windows 10! Most PowerBuilder developers know that the DataWindow object class in PowerBuilder (PB) Classic utilizes the open source (GNU) version of the GhostScript (GS) software to convert PostScript printer output into an Adobe PDF (Portable Data Format) file. The challenge this year for PB Developers moving into the MS-Windows version 10 domain, is that all drivers must be signed in order for the new O/S to accept the driver. This creates an issue for the GS installation as even the latest version 9.16 does not supply signed MS-Windows drivers. The good news though is that the PB Developer can get around this roadblock in the new O/S by following the procedure I used below to install GS v9.16. Without this technique, the GS install will not complete due to finding an unsigned driver. The install will in fact get stuck in a closed loop ... select the .INF, get an unsigned driver message, click next, get an unsigned error and voila - your back at the select the .INF file part again in the MS-Windows 10 install printer wizard! 1) Hold down the SHIFT key while you click Restart. 2) Once your computer has rebooted, choose the Troubleshoot option. 3) Then select the Advanced options. 4) You will now be prompted to restart your Computer again. 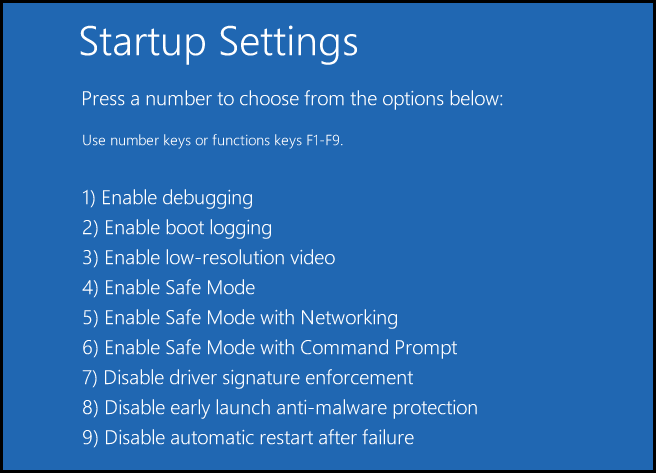 5) After restarting, you will need to press the F7 key! 6) Now your PC will reboot and you will be able to install unsigned drivers without any error messages! 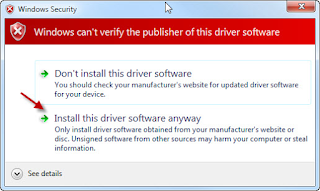 Now during the GhostScript installation, once you get to selecting the printer driver from the GS installation's LIB folder, you should now see the MS-Windows security dialogue allowing the GS Driver to be installed even though its not signed! Some of you may be saying to yourself ... OMG, How will I ever get around this when I deploy GS into the production realm? My technical support people will never allow this procedure to be used the our production environment! To that I would answer ... how about using this approach (click here) instead? I hope that this article has helped prepare you for the world of MS-Windows 10 with PowerBuilder. I have now personally used the above procedure on two W10 PC's to successfully install GhostScript and use it with PB 12.1, 12.5 and 12.6. Software Tool & Die Inc (STD) is very pleased to announce that the Foundation Class (FC) project on the SourceForge website has had some significant improvements as of late. The FC project that supports PowerBuilder, Appeon and EAServer has had an amazing download activity this year. In fact, year to date figures currently stand at 3,844 downloads! In order to support this significantly increased use, new project features have been enabled for framework users. Framework users can now contact the framework designer directly using the new "Support" link located at the top of the STD FC Project. The support link will enable direct email contact for framework help. Framework users can now see a list of open maintenance and enhancement tickets on either the Integrated or Web Service framework. Developers who are logged into the STD FC SourceForge project can also open tickets directly on a framework and/or specific feature. The newest feature is the Discussion forums. There are three forums: General, Integrated and Web Service. The Discussion is open to all framework users to puruse. To open a discussion or reply to a question, the developer must log into the SourceForge project in order to participate. The general discussion forum is just that - general questions about overall framework strategies, direction, futures, etc. The Integrated discussion is specific to the Integrated framework which encompasses Appeon and PowerBuilder Client Server, Web and Mobile based applications. The last discussion area is around the Web Service framework specifically for PowerBuilder. However, both Appeon Web and Appeon Mobile can take advantage of these Web-services at run time as a "Consumer". Once inside a specific discussion, any FC user my browse any discussion thread. However, in order to participate in any discussion, the developer is required to log into the SourceForge STD project. Once they start participating in a discussion thread they will receive emails on various postings. These email updates also allow the thread participant to continue the thread update via email responses. All-in-all, the new SourceForge features enabled for the STD FC's on SourceForge further enhances the direction and dedication of the frameworks to continue to be the best frameworks available in the market for either PowerBuilder, Appeon or EAServer. New STD CD Player released! New version of the PowerBuilder CD player released! Built from the STD Integrated framework! 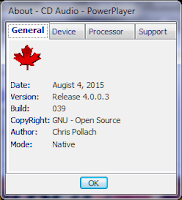 This release of the CD Player is written in PowerBuilder 12.1 (build 6518) and encompasses some interesting features that you can coax out of the Windows operating system. 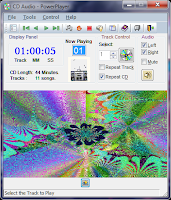 The application can be deployed as either a Win32 or Appeon Web application and allows the user to control music from any CD/DVD player attached to their PC. The amazing change to this release is the complete refactoring of the original code to dovetail into the STD Integrated Framework! The task of taking a non-framework application and retrofitting it into the STD Integrated Framework took less than 30 minutes. All the Windows and control were edited in "Source Code" mode an re-inherited to a framework base or abstract class. The main challenge was refactoring the original menu to inherit from the complex compound STD Integrated Framework menu that took the most refactoring effort. Once done, the CD player worked first time! Not only is this a "kool" application to run natively, by utilizing Appeon's unique Web software architecture - it demonstrates important low-level control within a web browser. You can not do this single code line application with other tools like Visual Studio, Delphi, or even with PB's old WebForms feature. When you add Appeon to the PB development mixture - a whole new horizon of possibilities emerges! 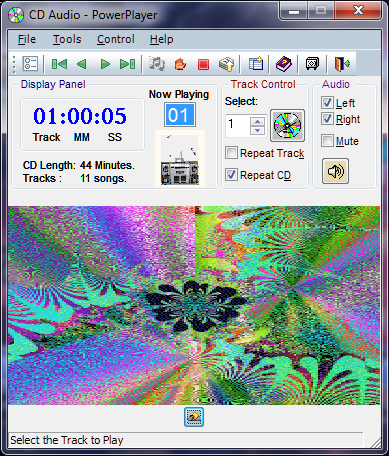 If you would like to enjoy the Native or Web version of the above CD Player application, please visit the SourceForge website and the STD-Foundation-Classes project. 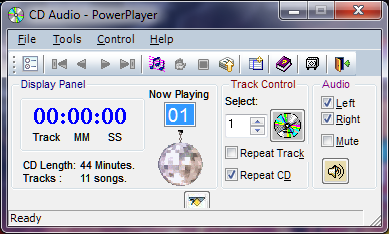 Then select "All Files" to drill down to the "Applications" => "PowerBuilder" => "CD Player" section. All the applications and framework code in the SourceForge project is free & open source. To commemorate the release of the new Star Wars movie arriving later in 2015, the CD Player has been enhanced with various sound effects that salute this great storyline & movie franchise. I hope that you enjoy the new Star-wars theme! 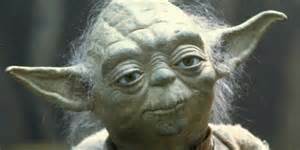 You seek a PowerBuilder Master.